Course Structure: You will be required to attend your training days, along with completing home study and practice to contribute building your portfolio of work evidence. You are required to provide models throughout your training to practice on and be assessed on. EQUIPMENT: You will need to purchase a college hairdressing kit from a wholesaler to continue with your home practice and for assessments. You will need to purchase x4 training heads. You will need to arrange models for your assessments throughout the training programme. We do have a kit that can be purchased. Academy polo: You will need to purchase a SurePass academy polo t-shirt. Your course adviser will be able to provide sizes & payment information upon enrollment. It is strongly recommended that you seek work experience in a hairdressing or barbering salon during your training, this will give you the knowledge and hands on experience of being in the industry. Our tutors will offer you 100% support throughout your training. When you enroll on to this course, on your first training day you will be provided with your course pack and given a full induction. Dates may be subject to amendment around bank holidays/salon closures. 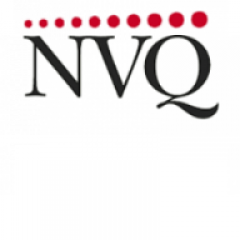 If you would like to discuss the course with one of our NVQ support advisers please get in touch ! TERMS: SurePass reserve the right to alter training days to cater for bank holidays or staff holidays - we will also aim to accommodate student holidays too where possible. Some students may find they complete the training & assessments in less than the designated time. A max of 40 days training will be provided. Additional training days needed with be subject to charge. Min 2 students required for the course to run. We operate a strict no refund policy and you will be liable for the entire fee, even if you withdraw from the course. Please refer to our terms/conditions/cancellation policy for more information.